Are you ready to take your photography to the next level? 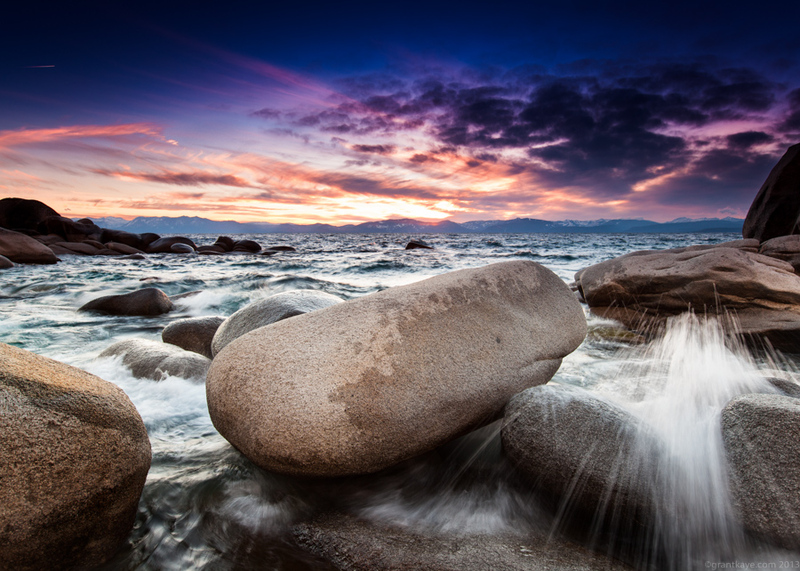 Join Truckee-based professional photographer Grant Kaye on a casual walk around the shore of beautiful Lake Tahoe he helps you build on foundations to fully unleash your creative vision. Learn strategies for better composition, pre-visualization, and the use of smartphone apps to anticipate and plan for shooting during better lighting conditions. We will also cover fundamentals of photography, including creative long exposures with slow shutter speeds, along with use of depth of field to bring your vision to life through photography. Participants will be informed via email of the specific meeting location at Lake Tahoe the day before the workshop. Students must be able to comfortably and safely walk over uneven ground on a mostly level hiking trail and along the shoreline of Lake Tahoe, which may be covered in snow, ice, and/or mud. Students will be required to sign a liability waiver to participate in this class. As this class takes place in the outdoors, it is subject to weather. If the weather forecast is determined to be unsafe or conducive to photography, students will be notified as far in advance of the class as possible. The alternative date for this class is the next day. If the alternative date is not suitable to your schedule, or if both dates experience inclement weather, Atelier will offer you a voucher towards a future workshop equal in value to the cost of this one. This class has a minimum sign-up of five (5) participants to run. In the event the class is cancelled, all participants will be notified 24 hours in advance. Please read Atelier's cancellation policy.